About - By The Horns Brewing Co. Since 2011 our brewery has organically evolved into what it is today, where we now brew a range of core beers in cask, keg and can; and we also release a new set of seasonal and limited edition beers every few months. 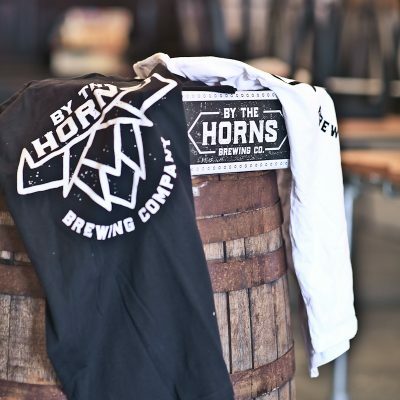 By The Horns Brewing Co. began life as a concept and a vision. Alex Bull & Chris Mills, the founders of By The Horns Brewing Co., wanted to tear away from their corporate jobs and give themselves the freedom to do what they enjoyed most….brew beer. The UK brewing landscape in 2011 was very different to what it is today, and there was absolutely no blueprint for what they wanted to do. 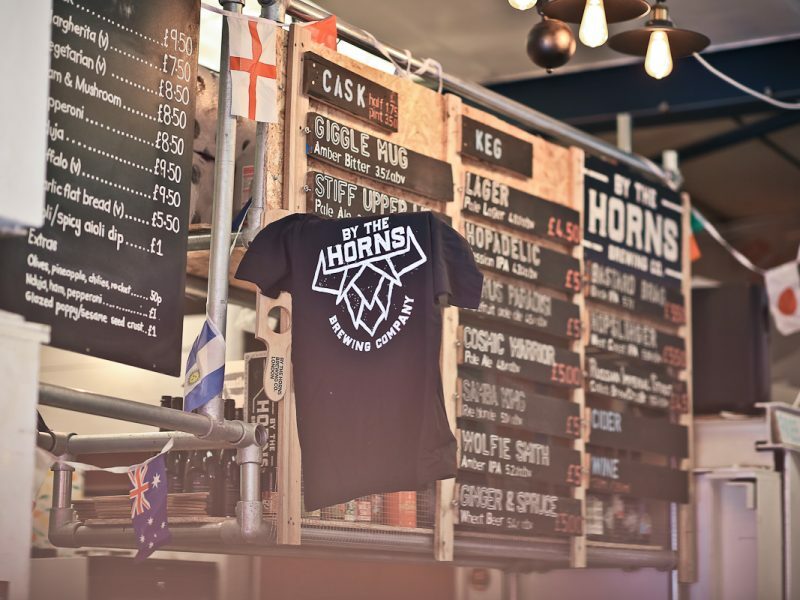 In forming By The Horns Brewing Co. their vision was to brew approachable beers but bring taste, choice and flavour to the fore. Our brewing style was influenced by both the American craft brewing scene and the British ‘real ale’ tradition, and so combining these two influences is at the base of most of our creations. Initially we had no experience of commercial brewing and had never owned a business before; and so taking the bull ‘By The Horns’ was our attitude and approach. We cobbled together brewing equipment, rolled up our sleeves with a never-say-die approach and began commercially brewing beers in September 2011 in a small industrial site in SW London. The first 5 years of business was a time of discovery & learning; and purely applying a new business in a growing ‘craft’ beer market-place. This phase of our business saw organic growth, but more importantly it was about the journey and where we wanted to take By The Horns in the future. We organically grew the brewery with additional brewing kit being installed to meet demand, & implemented world-class brewing processes & regimes which would allow even better quality and consistency. We brewed some great beers in this time, and really tried to apply our craft oriented approach to cask ale; and we even won some awesome awards too. 2016 & 2017 was about realisation & evolution. We have never been scared to change and evolve what and how we do things; and this period gave us the direction of what and how we do things today. Predominantly we used this time to take stock of our approach and how best we could apply our brewery to the ever changing brewing landscape. The term ‘craft brewing’ was now a thing and there was now a lot more competition from new breweries opening. We had to move forward in this new wave of brewing! 2018 saw the re-birth of By The Horns Brewing Co., and is what we are today. We took time to hone in exactly who we were and are, how and where we wanted to take our brewery. We could not have done this without our previous 7 years of experience and knowledge, and so our story has been a journey of evolution. At the beginning of 2018 we done this by evolving our core beer range, rebranding our company logo & beer branding, launch our beers in cans instead of bottles by installing our very own canning line in our brewery, and implement the best industry quality standards possible. Our brewery now has the capacity to brew upto 20,000 pint of beer per week, we employ 7 staff, and are still able to brew the beers we want to brew. It means that we still have the same ‘let’s do this’ & ‘bull by the horns’ attitude and approach that we have always had, but we are able to convey this with a brand that represents who we are with a range of beers that offers choice, flavour & curiosity with the most consistent & quality approach possible. We are an award winning brewery serving all our beers from our Taproom Bar bases in SW London. We serve 3 cask ales, 10 keg lines & our very own cider too. We have our fridges full of all our canned beers, and also serve a full bar service of wine, spirits & cocktails.